So yesterday as we mooched around the shops, instead of our usual Zara-Topshop-H&M route; we took a detour and landed in Waterstones, an avid reader’s haven. A corner of quiet. For me there’s an immediate sense of calm as I enter a book store, definitely in comparison to a clothing store: there’s no rummaging for the right size or queuing up for a fitting room. If the reading material isn’t enough, there are comfy chairs and sofas -nap time anyone?- so one can sit and read for hours -if you have the time. If I could re-live the past five years, I would have spent far less time on social media and more time with my head in a Dickens novel or equivalent. When do people make time to read? In bed? On the train? If you do make the time, what do you like to read? Posted in A COLOURFUL LIFE and tagged baby, blog, books, education, family, humour, LIFE, mummy, parenting, personal, reading, shopping, writing. Bookmark the permalink. 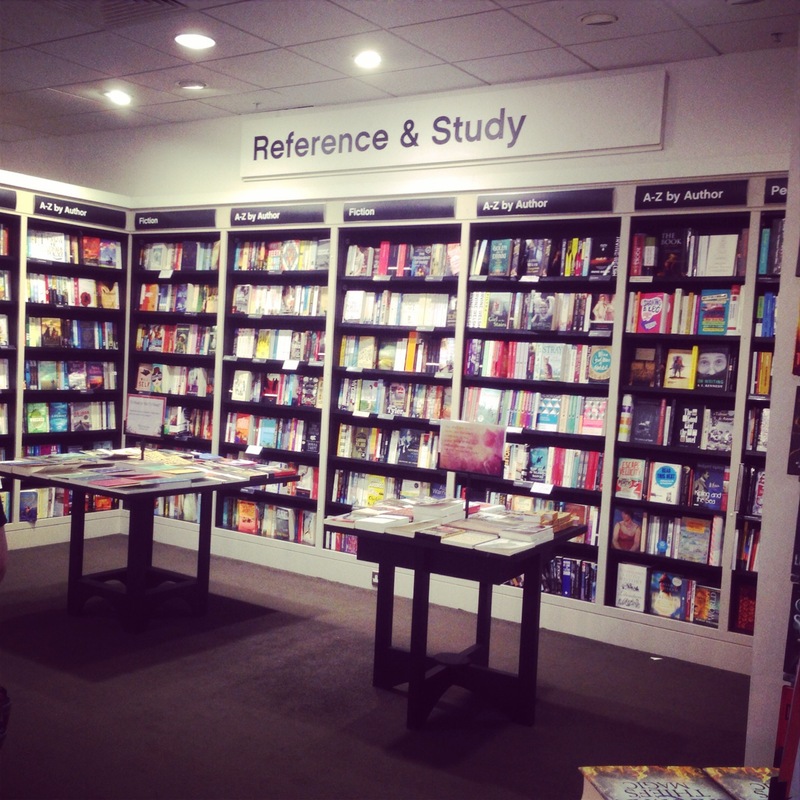 I adore bookshops. When I read a good book I read it 24/7. So, while I’m studying I have to put book reading on hold. Still, I read snippets at night.